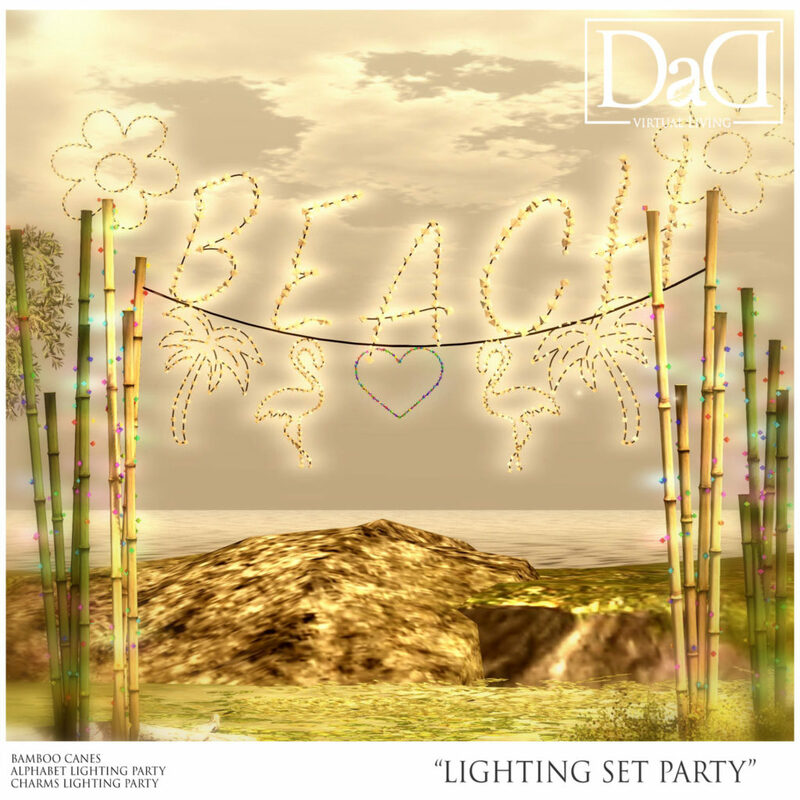 Looking for a cute and fun way to decorate for a party? 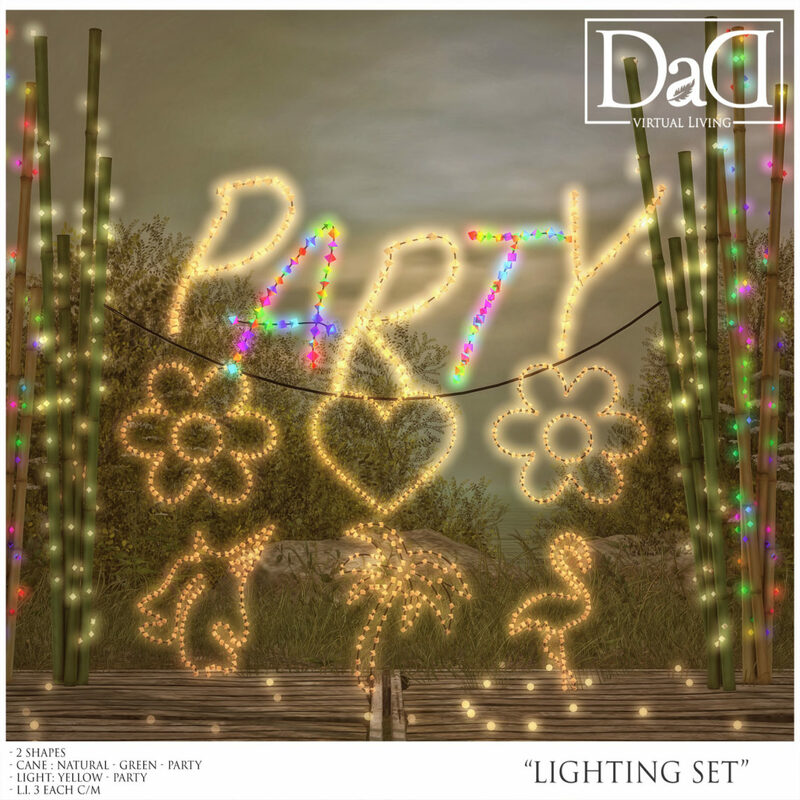 Maybe surprise someone special with a lighted message. Lots of ways to use these lighting sets of alphabet, charms and bamboo canes. 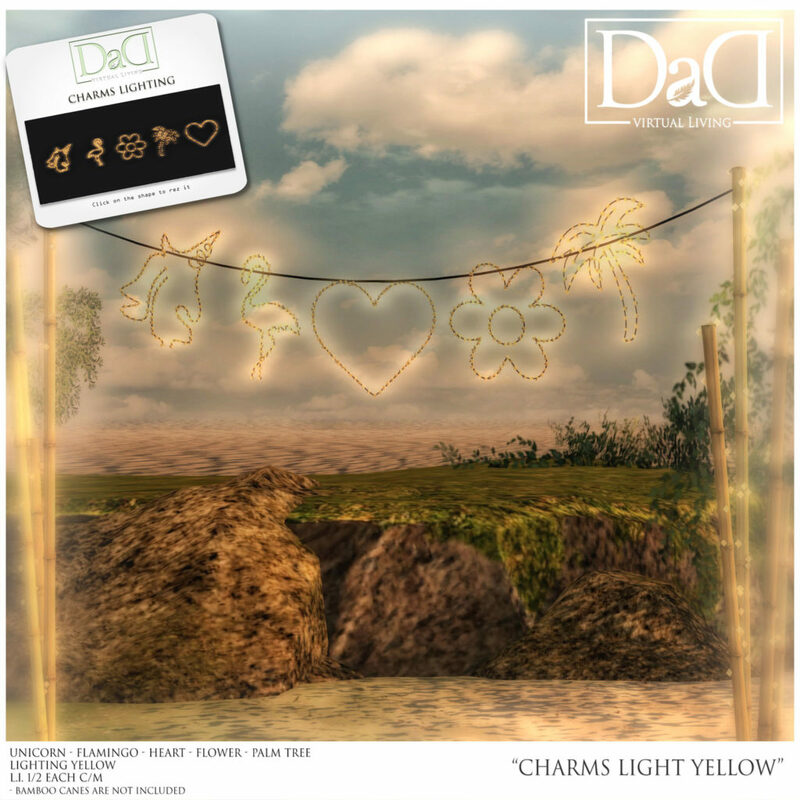 Each item is available in either yellow or party lights and sold separately or in a fatpack. 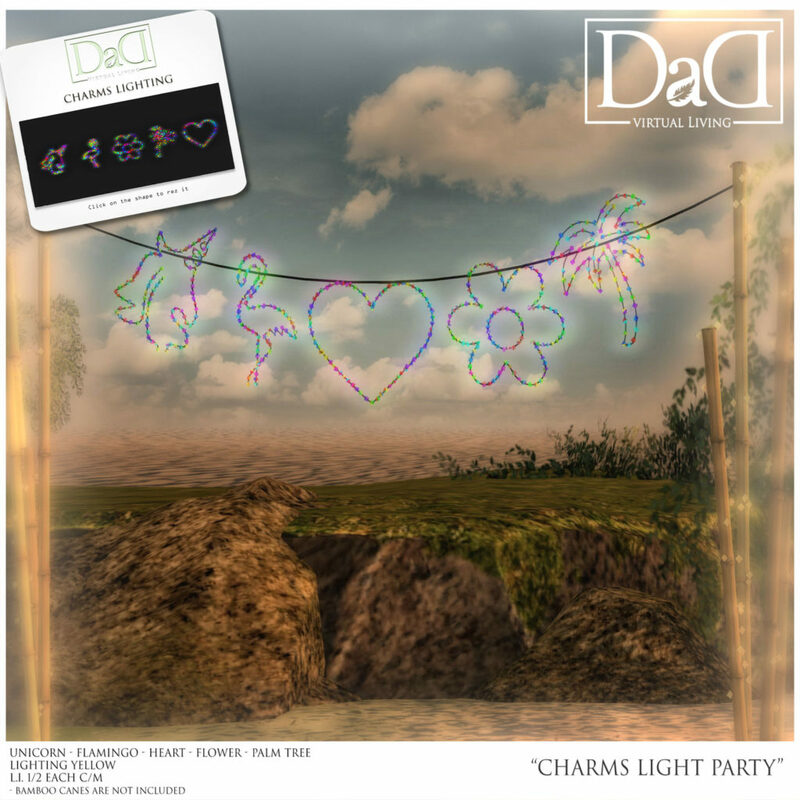 The alphabet and charm lights are rezzable by HUD. 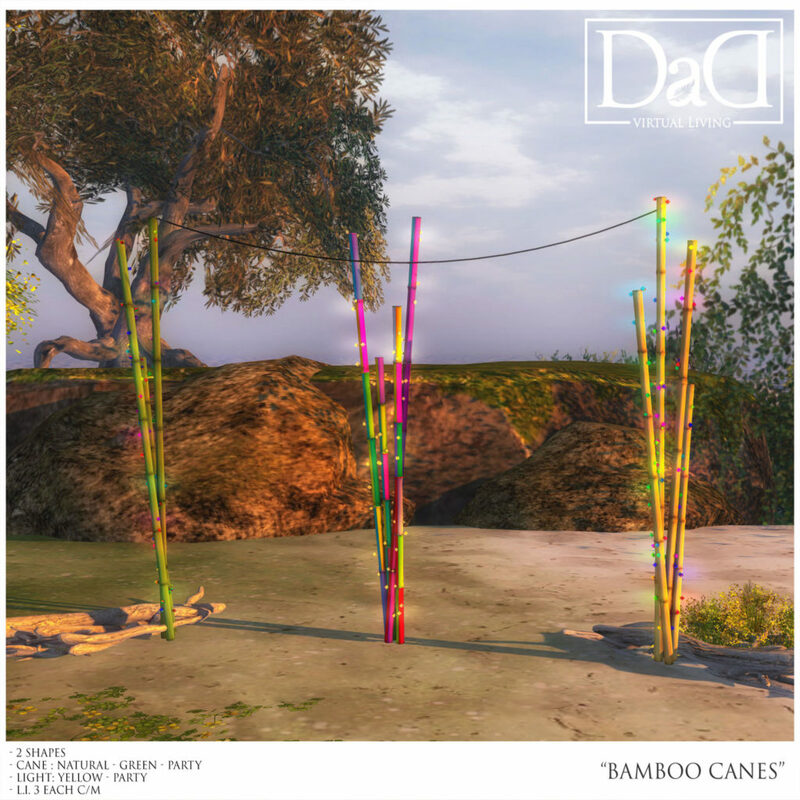 The bamboo canes are texture change by touch for both the bamboo texture and light color.